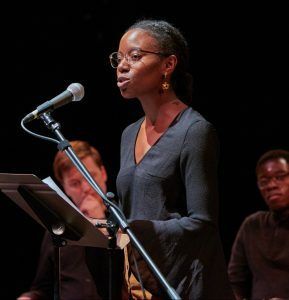 Listen below as Nia Robinson reads Rosaleen Bertolino’s “The Doll Family.” The reading took place on November 10, 2017, as part of the annual NER Out Loud event at Middlebury College. “Doll Family” was originally published in NER Vol. 38, No. 3 (2017) and is available to read online here.